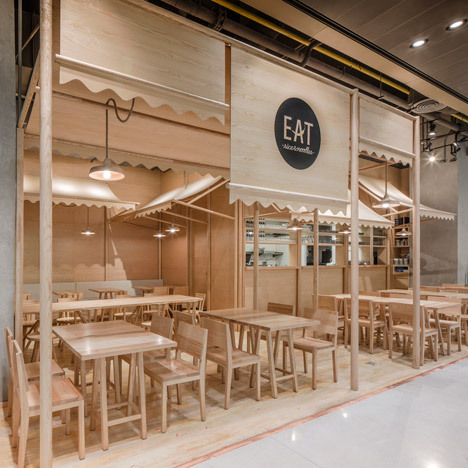 Furnishings and surfaces at this restaurant in Bangkok’s EmQuartier shopping precinct are nearly exclusively ash, producing a monochrome interior that looks like it truly is manufactured from balsa wood . 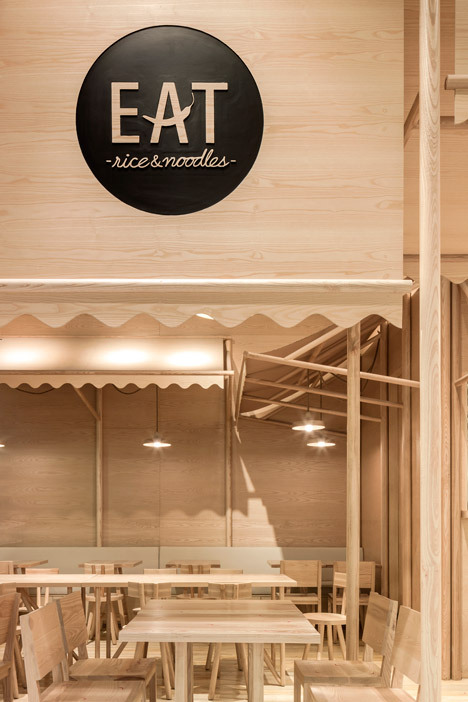 Neighborhood studio Onion created the interior for Eat Rice &amp Noodle, a restaurant found in the basement food court of the retail complex designed by New York company Leeser Architecture. 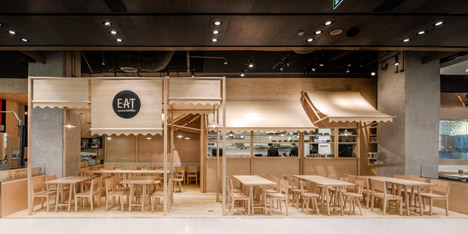 The 66-square-metre restaurant specialises in Thai meals influenced by the proliferation and familiarity of good top quality street meals in the region. 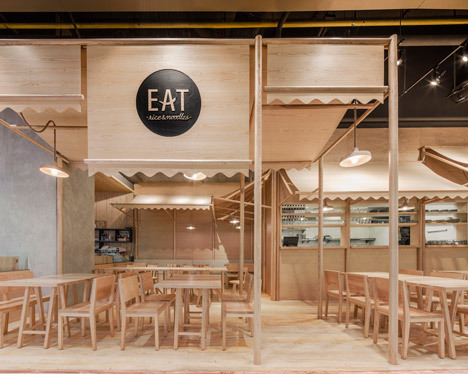 “Considering that street food is an important part of daily life in Thailand, Eat has been developed with the intention of capturing its banal expertise and generating it come to feel unique,” mentioned the architects in a project description. 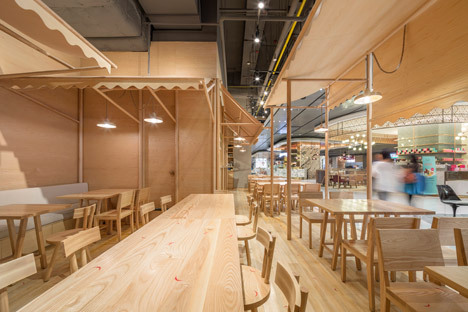 The restaurant’s style directly references the street stalls identified close to the city, in which diners can develop their meal by selecting from different varieties of rice, noodle and meat. 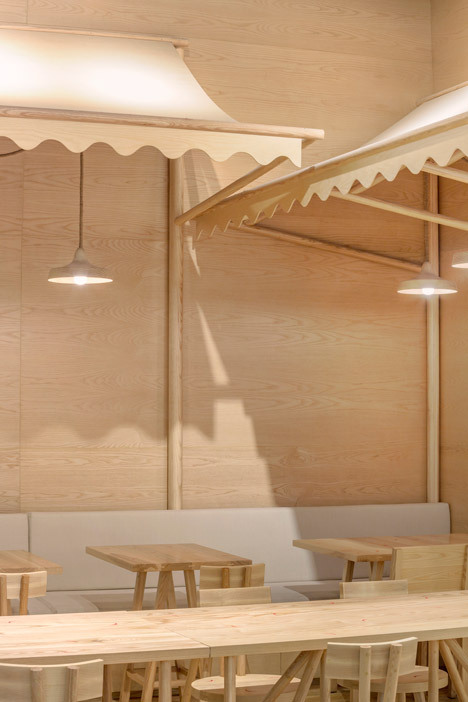 The awnings that supply shelter and a way of marking the territory of each and every street stall are recreated in curving plywood sheets within the area. 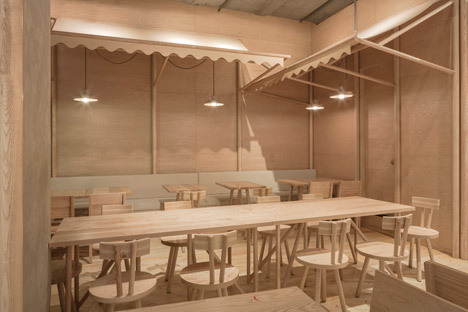 Other objects typically discovered in street dining establishments, such as the bistro-type pendant lamps and wooden furniture, supply even more references to the archetypal eateries. 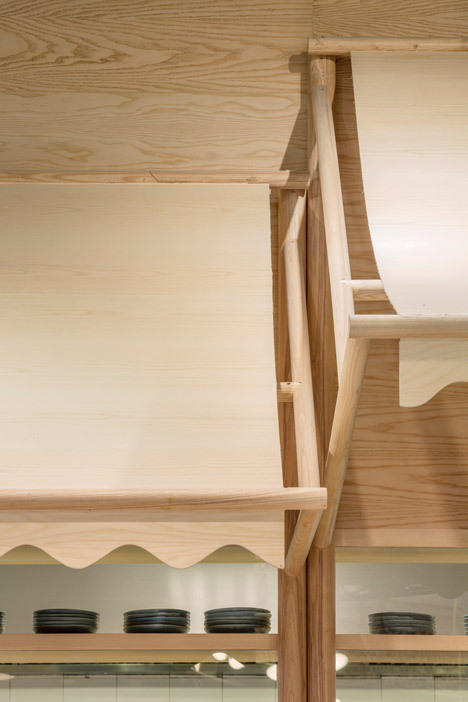 The designers utilized wood to create a structural frame, as it is a typical developing material in Thailand. 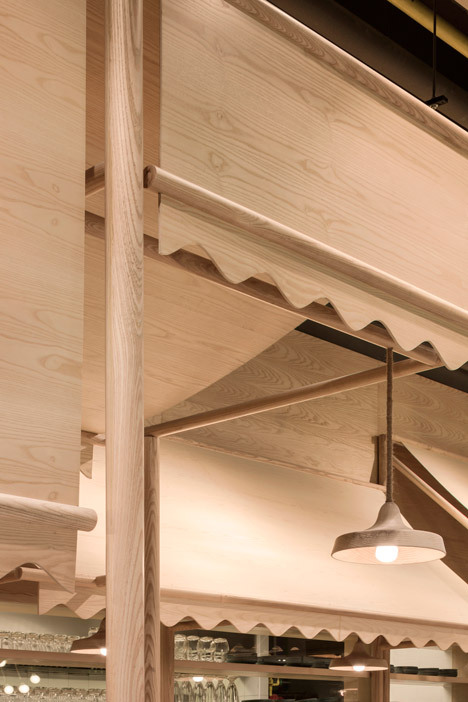 They utilized the same materials to the walls, floors and furnishings to give the interior a homogenous aesthetic. 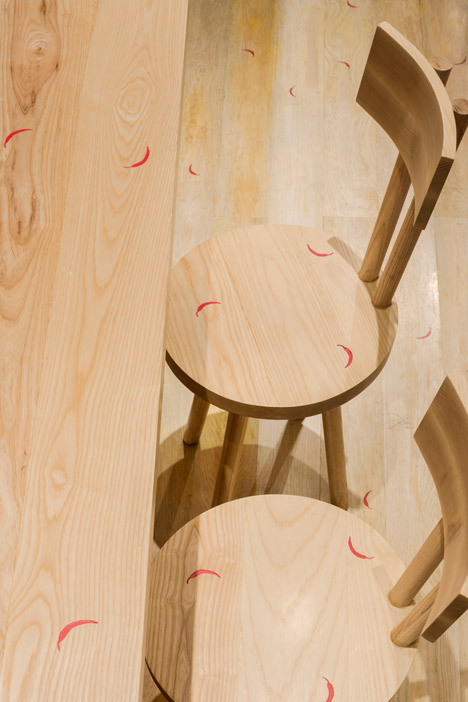 The designers claimed that the use of bleached ash is also meant to soften the “grimy, rough-and-tumble really feel of a street stall” while attaining an precise visual resemblance. 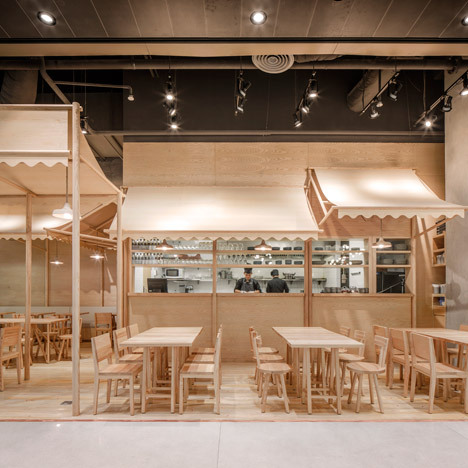 An open kitchen enhances the sense of connection amongst the diners and chefs, offering a see of the cooking approach that also recalls the preparation of foods by street vendors. Onion’s other projects contain a hotel with fluted brick walls lining a passageway that leads to the guest rooms. The studio also made a home to show a assortment of toy bears that it later returned to and additional much more display cases in the garage. Photography is by Wison Tungthunya.